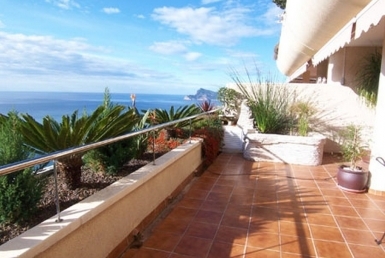 Splendid 4 bedroom townhouse with beautiful views of the sea and the mountains. Almost new, first quality construction, materials and finishes, private pool. Located in Altea Hills that has private security 24 hours, and just 4 km from the AP-7 motorway and 9 km from Altea and Calpe. Optional furniture and garage for 3 cars. Young and cozy Duplex surrounded by pine forests in a quiet area of the Sierra de Altea. QUIET COMPLEX SURROUNDED BY PINES FOREST WITH NICE GARDENS AND POOL. EXCEPTIONAL FIRST QUALITY DUPLEX WITH INCREDIBLE SEA AND MOUNTAIN VIEWS.